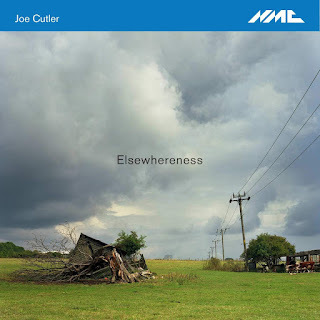 The music of Joe Cutler has such a vivid theatricality to it that, listening blind to this new disc Elsewhereness in the NMC label, you feel that every item has a dramatic subtext and a theatrical setting no matter what the musical forces. This disc contains six pieces for wildly varied groups of performers, Elsewhereness, McNulty, For Frederic Lagnau, Akhmatova Fragments, Sikorski B and Karembeu's Guide to the Complete Defensive Midfielder. The performers are varied, including full orchestra: the Royal Birmingham Conservatoire Symphony Orchestra and Mirga Grazinyte-Tyla (chief conductor of the CBSO), highlighting Cutler's Birmingham connections (he is head of composition at the conservatoire), piano trio: the Fidelio Trio, mixed trio: Noszferatu (Finn Peters - saxophone, Dave Price - percussion, Ivo de Greef -piano) and three different mixed ensembles, Workers Union Ensemble, soprano Sarah Leonard with Project Instrumental and Daniele Rosina (conductor), and Emulsion Sinfonietta. The disc opens with an occasional piece, Elsewhereness written for the move to the Royal Birmingham Conservatoire's new home and performed by the conservatoire's orchestra conducted by Mirga Grazinyte-Tyla, as such the piece explores the idea of moving elsewhere, dismantling and re-assembling. Yet the pice is full of fascinating textures and rhythms, is engaging and characterful and certainly sounds fun to play. Next up is McNulty, performed by the Fidelio Trio (Darragh Morgan, Adi Tal, Mary Dullea). The work was commissioned by the Fidelio Trio, and the piece's title is, in fact, the name of a character in the TV programme The Wire, this gives Cutler the opportunity to explore various personalities, and the music combines the catchy, the rhythmic and the repetitive, as if someone had put minimalism and popular music in a boil wash together, with Irish traditional music in the mix too. For Frederic Lagnau is a piece dedicated to the French minimalist composer Frederic Lagnau (1967-2010) whom Cutler knew in Darmstadt in 1992. Performed by the Workers Union Ensemble (Anna Durance - oboe, Allie Steemson - saxophone, Edward Pick - piano, Mercedes Cartwright - double bass, Joley Cragg and Catz Wolfson - percussion, Benjamin Oliver - conductor), it is a long way from minimalism and mixes the serious with the seriously fun in the shape of some perky musical interactions, intercutting things in a way which is intriguing and returns us to the idea of some sort of dramatic subtext. Akhmatova Fragments, performed by soprano Sarah Leonard with the string ensemble Project Instrumental, conductor Daniele Rosina, was written for Sarah Leonard and sets five fragments of Akhmatova's poetry in D. M. Thomas' translations. These are five short pieces, where the strings are as much of importance as the voice, and they certainly do not play a comfortable accompanying role. and the first movement is purely instrumental, from the spiky to the downright popular. Akhmatova's poetry is highly searching, and Cutler responds with music which is intense yet still full of drama and texture. The longest is the final movement which opens with a hauntingly beautiful passage for the strings, complementing the poised, evocative vocal line. The Polish composer Tomasz Sikorski (1939-1989) was one of Cutler's early influences, and in 2005 Cutler wrote an homage piece, Sikorski for the ensemble Noszferatu (of which Cutler is co-director), and then decided the material could be re-worked in an entirely different manner. So we have Sikorski B (which sounds alarmingly like the name of a nuclear reactor) for saxophone, piano and percussion. All haunting and concentrated textures, it is quite a singleminded yet mesmerising piece. The final work on the disc has the longest, and most appealing title, Karembeu's Guide to the Complete Defensive MidFielder, the reference being to the French footballer Christian Karembeu. It is the longest piece on the disc and arises out of collaboration with Trish Clowes' Emulsion Sinfonietta and saxophonist Iain Ballamy, and Cutler himself plays keyboards. It is a fusion piece, with elements of jazz, contemporary and minimalism, all with a strong element of improvisation. Quite where the French footballer fits in, I am not sure, but there is plenty to intrigue and entertain as Cutler and the performers keep the material moving and changing, constantly going in new directions. This is a very varied and wonderfully entertaining disc. 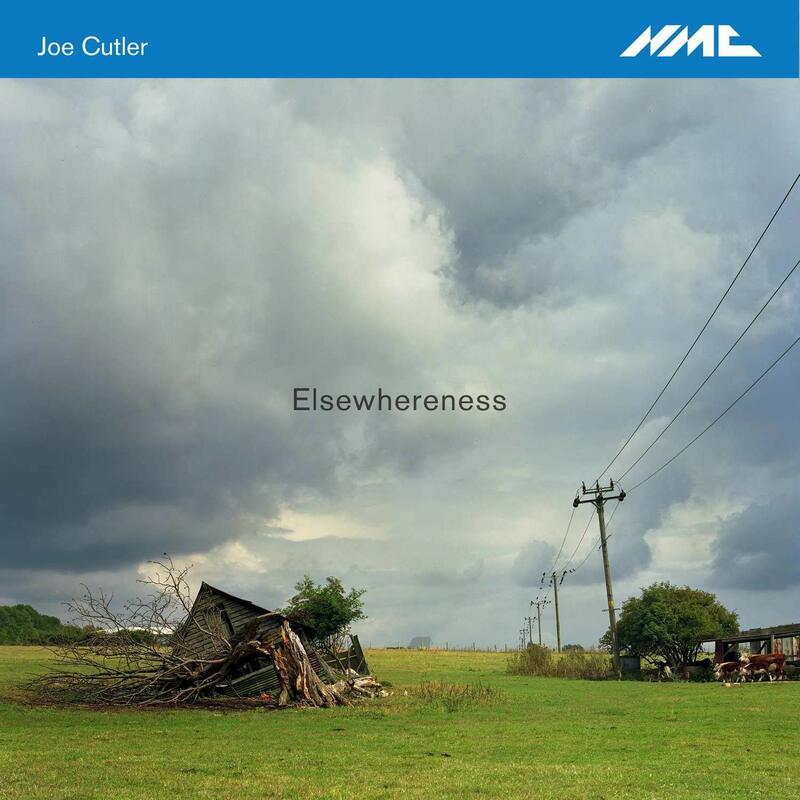 No matter what he is writing, Cutler's music is profoundly characterful and he is as at home in an occasional piece for orchestra as a jazz improvisation. Recorded Royal Birmingham Conservatoire - 11 March 2018, Performance Space, City University - 20 June 2017, Studio 1, Royal Birmingham Conservatoire - 24 April 2018, Adrian Boult Hall, Royal Birmingham Conservatoire - 27 August 2008, Studio 1, Royal Birmingham Conservatoire - 21 March 2018.